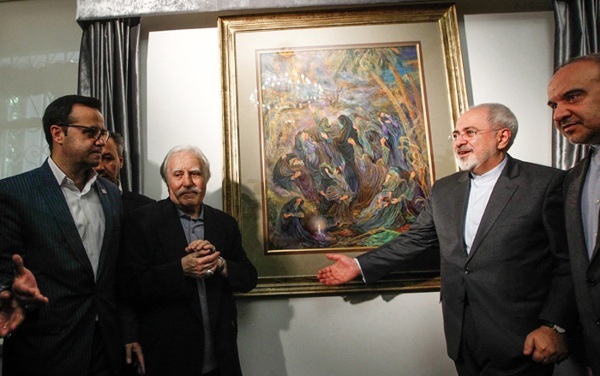 Farshchian’s works have always been the most significant gifts I’ve ever offered to officials from other countries, Foreign Minister Zarif said during the unveiling ceremony. 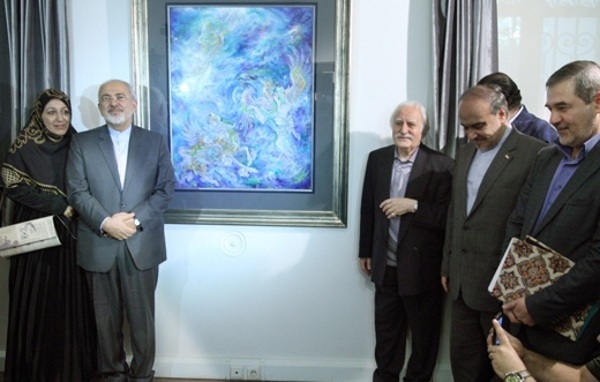 Two new miniature paintings by world-renowned Iranian artist Mahmoud Farshchian have been unveiled in Tehran. 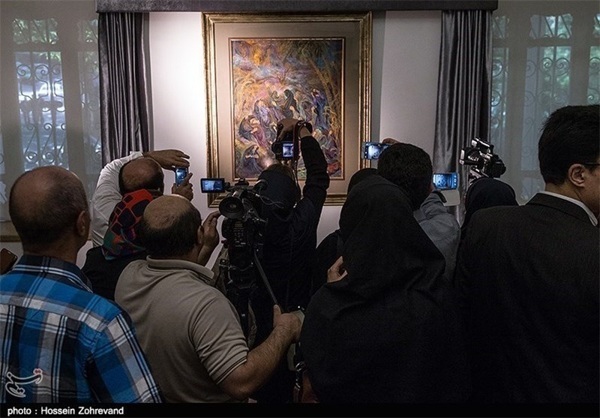 ‘Sham-e Ghariban’ (The Night of the Oppressed) and ‘The Fourth Heaven’ were unveiled during a ceremony at Farshchian Museum of Sa’dabad Cultural and Historical Complex. 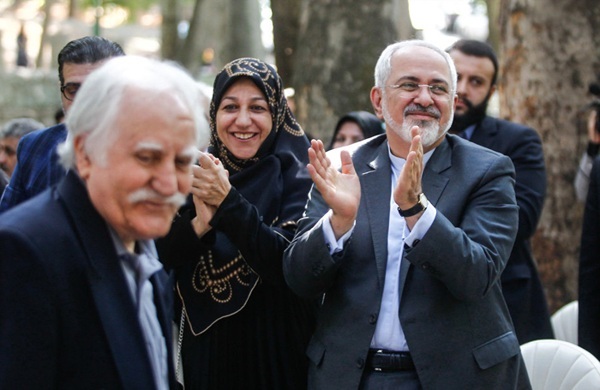 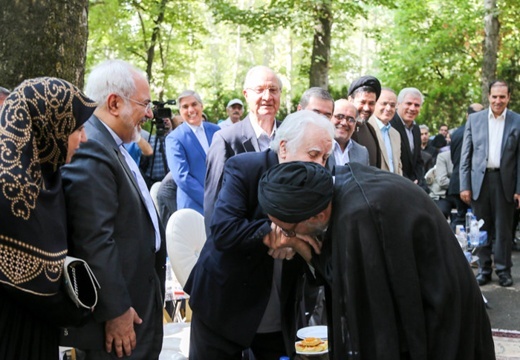 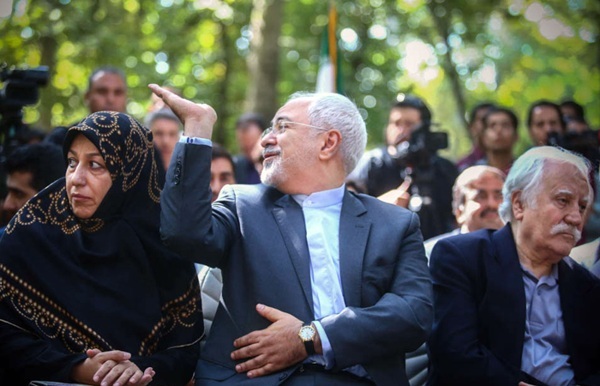 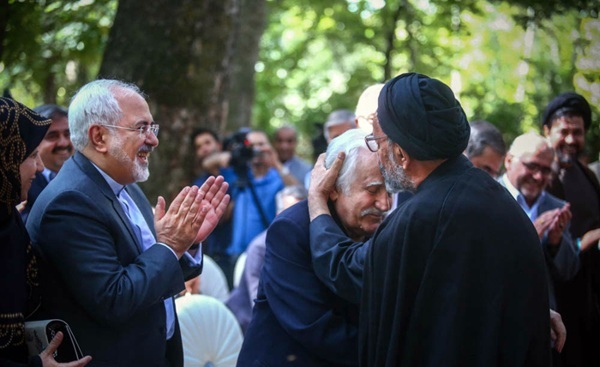 The ceremony was attended by a number of senior officials, including Foreign Minister Mohammad Javad Zarif and head of Iran’s Cultural Heritage, Handicraft and Tourism Organization Masoud Soltanifar. 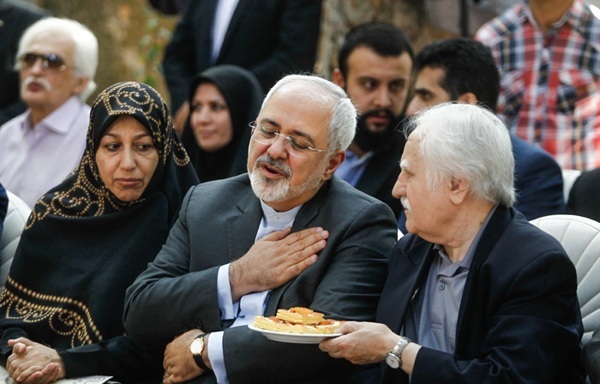 “Farshchian’s works have always been the most significant gifts I’ve ever offered to ministers and ambassadors of other countries,” Zarif said during the unveiling ceremony. 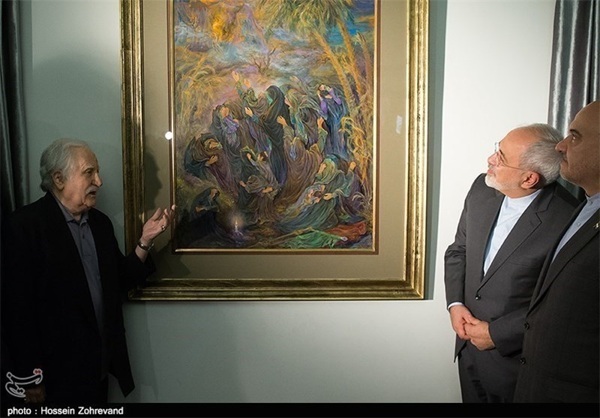 He added that no other work can express the prominence, spirituality and human nature of Iranian art better than Farshchian’s creations. 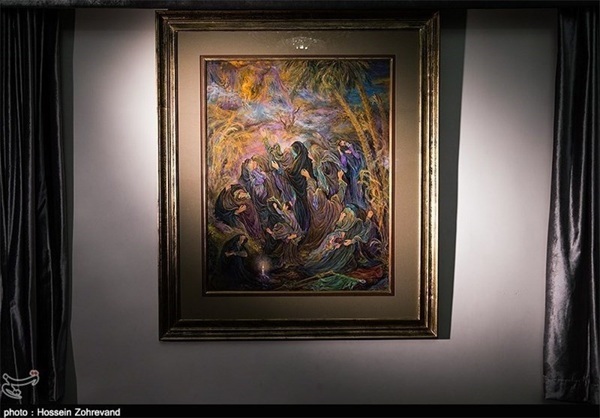 Farshchian is known as Iran’s master of miniatures, whose works have been displayed in numerous galleries and museums around the world such as the British Library, Freer Gallery of Art, Bibliotheque Nationale, Metropolitan Museum and Harvard University. 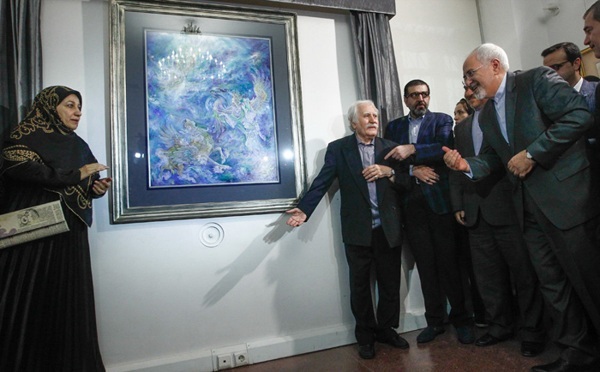 The 85-year-old artist was chosen as an outstanding 21st century intellectual by Cambridge and has received an honorary doctorate in Iranian painting and Islamic arts from the High Council of Culture and Art. 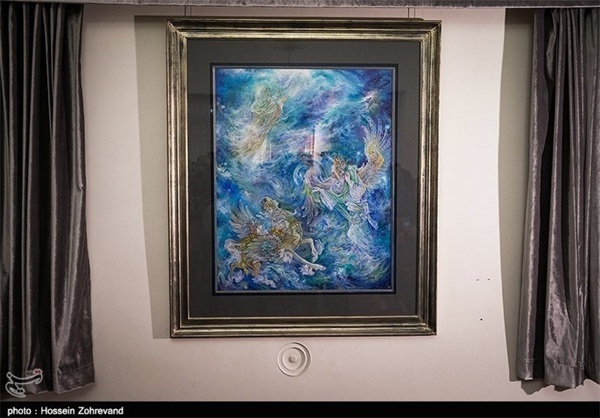 He has won numerous national and international awards, including the gold statuette of Italy’s Vessillo Europa Delle Arte in 1984 and the gold medal of Belgium’s 1958 International Art Festival. 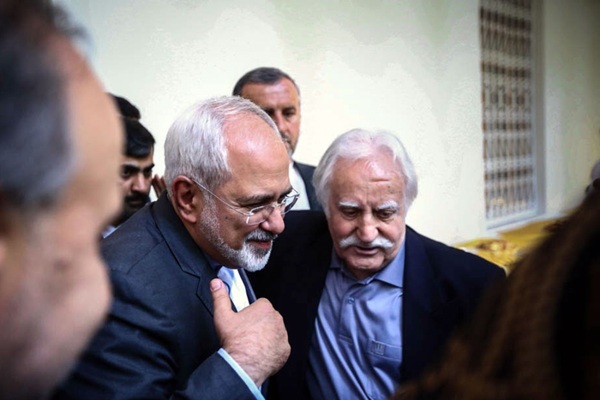 Iran’s Cultural Heritage Foundation established the Museum of Master Mahmoud Farshchian, devoted to the works of the veteran artist, at Tehran’s Sa’dabad Cultural and Historical Complex in 2001.